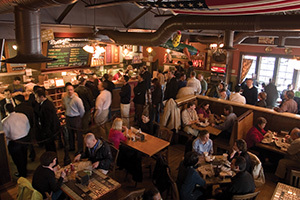 With no two locations alike, Potbelly Sandwich Shop immerses itself in the local neighborhoods. At more than 40 years old, Potbelly Sandwich Shop is still fresh and fast-growing. 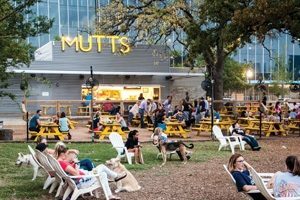 Since opening its first shop in Chicago in 1977, this quirky neighborhood sandwich concept has expanded to neighborhoods across the country, now with more than 500 shops worldwide. Today, with 22 new openings this year and an increased emphasis on franchise expansion — as well as the opening of its first California location projected for 2019 — Retail & Restaurant Facility Business interviewed Potbelly’s senior vice president of development, Jeff Welch, to learn more about the company’s unique niche in the sandwich sector and its bright future. R&R: How many restaurants does Potbelly Sandwich Shop operate today? 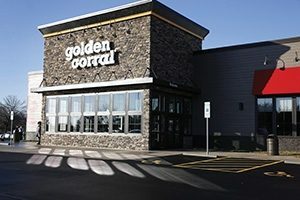 How many new locations are opening in 2018, and what is the growth forecast for 2019? 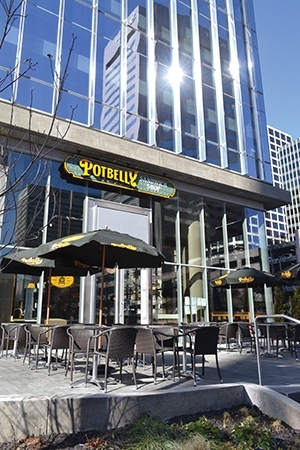 Jeff Welch: Potbelly operates more than 450 corporate locations, while franchisees operate 50-plus locations domestically in the United States, Canada, the Middle East and India. This year we anticipate around 22 total shop openings, half of which are franchise units. In 2019, we anticipate an even greater emphasis on franchise expansion. In the first half of 2019 we are projecting opening our first shop in California, which will be a franchise location. Plus, our seasoned multi-unit Potbelly franchisee in Virginia will be opening a new shop in early 2019 and we project opening in Charlotte’s airport early next year. R&R: Tell me a little about the history of the company and why 2018 is a key year. Welch: Potbelly Sandwich Shop didn’t start out as a sandwich shop at all. In fact, the owner of the original shop began selling toasted sandwiches at his antiques store. That’s why, to this day, our shops are filled with eclectic antiques, local signage and a really warm feel. Also, since the first store opened in 1977, live music has been a cornerstone of the Potbelly experience, and you can find live local musicians strumming away in your neighborhood Potbelly location. 2018 is a transition year for Potbelly, with new executive leadership members joining the brand over the past several months, including myself. We are excited for what the future holds for Potbelly. Welch: We’re currently focused on increasing the mix of franchise growth across the brand. The upcoming shop in Irvine, California — our first shop in California — is a franchise location that will be owned and operated by an experienced multi-unit, multi-brand franchisee. And, we plan to continue franchising across the state. 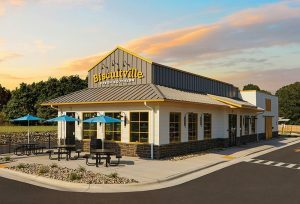 Finally, several existing franchisees are opening up additional locations, including new shops in Richmond, Virginia; Charlotte, North Carolina; and Rochester, Minnesota. That faith in the brand from our existing franchise partners is great to see and evidence of our franchising potential. R&R: Tell me about the recent openings near Memphis, as well as North Carolina. Welch: The impact these shops have in their neighborhoods is really impressive. In addition to creating dozens of job opportunities each, the shops provide an important outlet for local musicians, fundraising opportunities for schools and a meeting ground for students, workers and families. 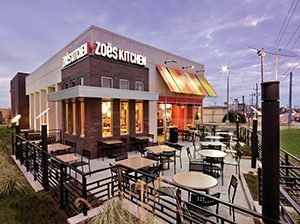 Specifically, our franchisee in the Memphis area has plans to open a total of four locations throughout the region. He brings extensive senior management experience to running his shop. Potbelly fits the funky Mid-South vibe, and the first location is a great example of what is to come — I appreciate how the interior blends into its design the rich history of Memphis’ rock ‘n roll scene. The Charlotte location that opened recently is our second shop in the area. A third location is in the works for the area. R&R: Potbelly is more than 40 years old — how has it adapted and evolved in a changing restaurant landscape over the years? Consumers’ tastes have changed, shopping centers have changed…. 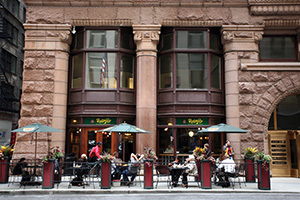 Do you credit Potbelly’s unique neighborhood vibe as a way to appeal to a new generation? Welch: Our shops’ neighborhood vibes are timeless, and the live music we have at our locations really resonates with younger crowds. These cornerstone aspects of the Potbelly experience are as popular as ever with consumers. Also, we consistently innovate to keep things fresh. One way is through menu updates and LTOs. For instance, this year, we’ve introduced two new items: a Cuban sandwich and two BBQ pork sandwiches. The response to these new menu items has been strong and has exceeded our expectations. We also recently introduced new marketing initiatives. This year, we celebrated National Turkey Month with our “Turkey Tender” promotion. For this promo, we motivated our customers to swipe right for $1 off any turkey sandwich — a fun play on dating apps like Tinder and Bumble. Another promotion was “Free Shake Friday,” which encouraged our customers to beat the heat with a free shake or smoothie with a purchase. Our shake promo drove a record number of shakes and smoothies served. Finally, regarding shopping centers, they have changed over the years — and we’re evolving with them. Several of our newer locations have drive-thrus and it’s becoming more and more popular across the brand. R&R: What advice do you have for restaurateurs to achieve longevity in a fickle market? 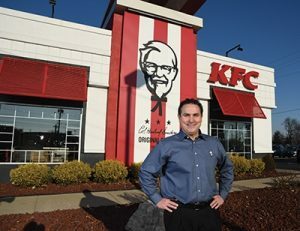 Welch: Our connection with the local neighborhood sets our brand apart from other national quick-service chains. Having that connection to the customer, and building goodwill locally, is integral to longevity. At Potbelly, in addition to décor, we do this through partnerships with local non-profits to help raise funds and give back to the causes that are close to our customers’ hearts. R&R: How has the sandwich sector changed since you entered in 1977? Welch: The sandwich sector has always been competitive — probably now more so than ever before — and we’ve seen several brands, concepts and trends come and go. However, one thing that has been consistent over the years is the customer’s appreciation of authenticity, and in particular, our commitment to the neighborhoods we serve. R&R: What is the typical square footage of a Potbelly Sandwich Shop, or is there a wide range depending on the space they go into? Welch: We look at a variety of retail locations in terms of size, type and demographics. For instance, in suburban venues our shops are typically in shopping centers and can be up to 2,400 square feet in size. Some have drive-thrus, which are becoming more prevalent. In urban locations, we are in much smaller footprints, enticing to a crowd that is typically in a rush and often taking sandwiches to go. We also have several airport locations, where convenience and speed is critical. R&R: What do you enjoy most about your job day to day? Welch: I enjoy working with a great group of people to deliver an iconic sandwich to our Potbelly fans. Our franchisees are passionate about Potbelly as well, and I enjoy helping them develop their markets. — This article originally appeared as the cover story of the September 2018 issue of Retail & Restaurant Facility Business magazine. Email Editor Katie Lee at katie@francemediainc.com.